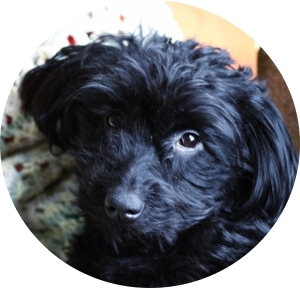 It’s every dog owner’s worst nightmare – you come home to find your pack of Bubblicious out of your coat pocket, the packet torn to shreds, and your dog looking at you with a guilty, slightly sick look on its face. Not only was he a bad dog, he might just be in a lot of health trouble! We all tend to panic when this scenario occurs, and for good reason: gum is not good for dogs. However, there’s no need to fear; there are things we can do to help our dogs before things get too bad. Read further to find out the effects of gum on dogs, what exactly about gum is bad for them, and the best way to help your friend through their newfound sticky situation. It's often better to be safe than sorry. If it's an emergency, of course, go to the vet no matter what. However, for mishaps like this (and future ones), I really--really--recommend getting pet insurance. It's saved more than one dog owner from bankruptcy. Here are a few I'd recommend. Can Dogs Eat Gum? What Does Gum Do to Dogs? Before we really dive in, here's some great info from some experts. Funny enough, sugared gum is probably less bad for your dog than the sugar-free kind; in this case, the major concern is the same thing you worry about if you swallow gum. In essence, it just takes forever to get out of their system, and can do a bit of damage to the dog’s insides if left unchecked. While this is not good, to be sure, this is nothing compared to the possible effects of your dog eating sugar-free gum. If your dog ate some sugar-free gum, you need to take quick action as soon as possible. Basically, most sugar-free gums contain a compound called xylitol, which is used as an artificial sweetener. While the name sounds like a straight-up chemical, there is more to xyllitol than just its seemingly sci-fi inspired name. For one thing, Xylitol is actually a naturally occurring sugar alcohol. Trace amounts of it found in all kinds of substances that we routinely ingest, like oats, corn, lettuce, and berries. When it occurs in its natural state, there seems to be no harm to dogs, so you don’t have to feel a sudden urgent need to cut your pooch off from enjoying a couple of blueberries now and then. Xylitol is also found in stuff that we don’t sink our teeth into, such as corn fiber and hardwood trees. These unpalatable sources are where the substance is extracted to make sugar substitutes. While its appearance and flavor does a good job of mimicking the flavor of sugar, it is also a key additive in cough syrup, candies, breath mints, toothpaste, and mouthwash as well as sugar-free gum. It is when Xylitol is isolated that the trouble begins for dogs. While its separated state is just fine for humans to ingest, it is really toxic in dogs, to a dangerous extreme. Even if your dogs takes in just a little bit of xylitol, your dog can experience all manner of dramatic symptoms. It doesn’t take a whole lot of xylitol for the substance to do its nefarious tricks. The dosage that can cause hypoglycemia in dogs is thought to be around 50 milligrams per pound of body weight. Needless to say, if you have a small dog or a toy breed, even a teensy amount of Trident can bring some serious devastation. Dogs who have suffer from xylitol toxicity often experience low blood sugar, or hypoglycemia, which can make your dog sluggish and less alert. Dogs also experience low potassium levels too. Dogs will also start vomiting and lose coordination in their limbs, and will likely start suffering seizures and collapsing. If your dog ingests a large amount of xylitol-packed sugar-free gum, he may start developing liver failure. If this occurs, your pooch will also show signs that indicate hypoglycemia. Again, the amount of gum that can cause this particular condition is determined by the size of the breed. These symptoms all occur within ten to fifteen minutes after ingesting xylitol, so there is not much time to waste. It is necessary to act now! My Dog Ate Gum with Xylitol. What Should I Do? Don’t get too worried if you have caught your dog very quickly ingesting gum; the prognosis for dogs is very good if the toxicity is treated early enough. The key is to get your dog to the vet quickly enough before your pup’s liver starts to fail; if you are too late and your dog experiences liver failure or internal bleeding, they may slip into a coma – in these instances, your pup’s prognosis is not ideal. REMEMBER: Your veterinarian is the absolute best person to take care of your dog in this moment, so do not hesitate to take your dog to them as soon as you see what has happened. Treatment for xylitol toxicity involves closely monitoring your dog’s blood sugar and adjusting as needed to keep it normal. Because of the rapid nature of this condition, your vet will forego confirming a diagnosis and go straight to the treatment stage. You can expect this treatment to be fast and aggressive. The goal is to prevent the other, more drastic symptoms from occurring due to hypoglycemia. The most immediate thing your vet will likely do is try to induce vomiting – the sooner the gum is out of your dog, the less xylitol they will absorb into their system. Unfortunately, there is no antidote for xylitol toxicity that has been developed. However, your vet will likely hospitalize your dog and give them liver protectants, IV fluids and perform blood work constantly in order to make sure your dog’s blood sugar stays at safe levels. Eventually, the gum will pass and your dog will no longer have to deal with xylitol toxicity. Your dog ingesting sugar-free gum can be such a devastatingly awful thing. Because of this, it is of great importance that you diligently remove any possible scenarios where your pooch can get a hold of gum throughout your home. Fortunately, gum-proofing your home for the sake of your pooch isn’t too difficult of a task to execute. Essentially, you need to put forth the same kind of diligence that you already use when it comes to not having chocolate laying around. After all, we all know that chocolate can be a deadly substance for dogs. What we may not know, however, is that xylitol is noted to be roughly 100 times more toxic than chocolate. To put this in perspective, let’s say you have a small, 10 pound dog like a yorkie. In this case, a half- bar of chocolate is enough to prove fatal. However, it would really only take about three pieces of Trident for your little guy to suffer the same deadly effects that that half of a Hershey’s can bring. This could and should be cause for alarm. After all, it’s relatively simple to keep chocolate out of the reach of dogs because its deadly-to-dogs nature has been pounded into our psyche, not to mention that a half-bar of chocolate is not exactly tiny. Gum, on the other hand, is easy to dismiss because of its size and its tendency to go under the radar compared to more famous toxins. Common sense should be your prime resource for nipping this problem in the bud before it can begin. The most obvious one here is to make sure you’re not leaving any gum out in a place where your pup can access with his mouth. Remember, dogs are curious by nature; if he spies you enjoying a piece of gum, he may be drawn to taking up a piece himself to join you in on the pleasure. You should also take inventory of where xylitol could be lurking at in your home. At the risk of sounding sensationalistic or fearmongering, there could be products in your abode that have the substance in them, from stuff that stands safely behind the door of your medicine cabinet to the items that may be floating around relatively loosely and freely in your purse. It may behoove you to compile a list of substances or products in your home that could contain xylitol, and make sure that they are secured in a place where your dog cannot access. If you have kids, it is extremely important that you discuss the dangers of giving the family pooch a piece of gum with them. If your child doesn’t know any better, he or she may think the notion of the pup chewing on a stick of bubble gum would be a harmless bit of fun like, say, putting a hat on his head. It’s better to have this talk than to potentially run the risk of having your child traumatized because he or she unwittingly poisoned the dog. When you have this discussion, you shouldn’t just stop at gum, either. Xylitol is also present in a lot of candies that kids may enjoy, and it may seem natural for them to want to extend the pleasure they experience by giving a piece of sweet stuff to the family pooch. It may seem like a no-brainer to us, but just assuming that our kids have the same knowledge that we do could be a fatal mistake. Your vet will likely hospitalize your dog and give them liver protectants, IV fluids and perform blood work constantly in order to make sure your dog’s blood sugar stays at safe levels. 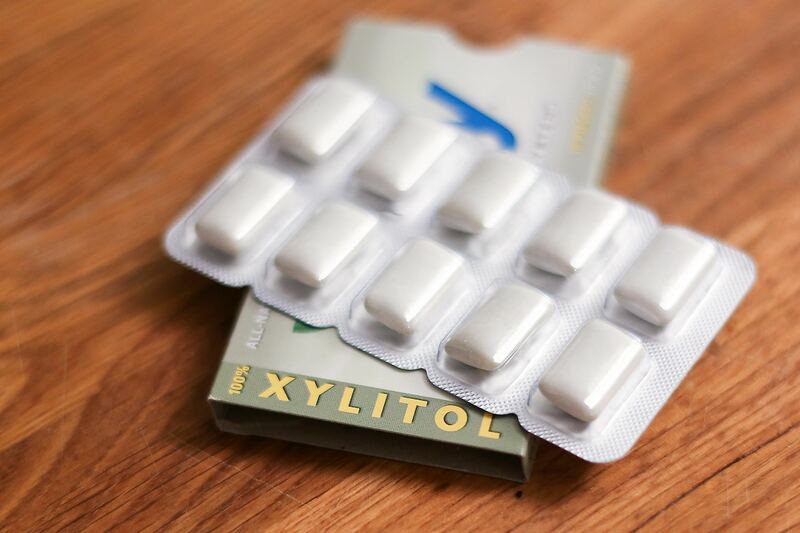 Eventually, the gum will pass and your dog will no longer have to deal with xylitol toxicity. Finding out your dog just ate gum is really scary, and for good reason – it can be deadly if untreated. Luckily, with the help of some decisive action and the expert assistance of your friendly local veterinarian, you dog will weather this as just another in a series of bad days, and they’ll be back on their paws in no time. Thank you! My 14 year old dog decided it was ok to chew on some of my super-bubble gum. (super bubble is a brand of gum, has 3g of sugar) So, he’ll probably be ok. It was only just one piece. I found it in my carpet before I discovered the chewed up gum.